The General Hospital Wub Tub: Activity Tuesday! It's Tuesday and I'll be out-- (as I will Thursday!!) So, it's activity today. Put your heads together to work on some soapy questions. What was your first character crush? Mine was the first Phil Brent from AMC. 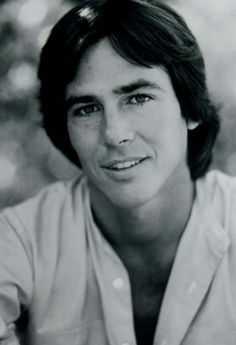 (Richard Hatch). Although we went on to more fame in Battle Star Galactica ...he remained "my Phil" forever!! He and Tara were deeply in love, planning to get married when he had to be shipped off to Vietnam. So real back then. They were the first to "marry themselves" in a little church before he left. (recreated by Liz and Lucky of GH) and made love. What happened a few years later? HE was alive!! Yep, the first 'back from the dead" story I remember too. When AMC premiered I was in elementary school and so ready for some TEEN ANGST on soaps!! I saw the first episode in Patty Andolina's basement. LOL..Crazy the stuff you remember. AMC was my mom and my soap for years. It was on right after lunch and we'd catch it during holidays and in the summer. That's my Pine Valley adventure in a nutshell!! 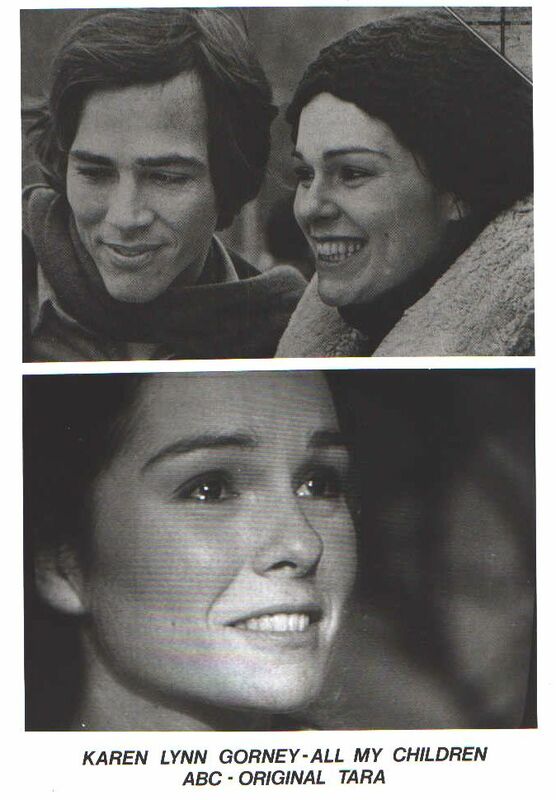 BTW, Tara was played by Karen Lynn Gorney. I loved her. Not only because we shared a first and middle name but because she was in between the "good girl" and... well Erica Kane LOL Then she went to star in Saturday Night Fever and my world was so happy! Thank you Karen for the trip down memory lane!!! :) Yes Phil and Tara I remember!!! Oh and new GH promo!! Lol, mine was John Schneider who played Bo on the Dukes of Hazzard. Still a fine looking man if you ask me. OK, I really think my first, and only crush, is Sonny. I never was one to crush on movie stars, I liked boys my age that I stood a chance with LOL! And I didn't start crushing on Sonny until he started dating Brenda, it really was the Sonny & Brenda relationship that got to me. Before that, he was just a thug, not appealing to me, but when he started to date Brenda he softened, and something about them together just got to me! Oh Karen, I had a similar experience with AMC. I went home for lunch every day, and watched Bozo's Circus in Chicago. When I got to 7th grade, I had outgrown the circus, and started to watch AMC which came on for a half hour right during my lunch break. I must have started a couple of years after you because I watched the second Phil and Tara (funny face?). Loved them so much. Loved AMC so much all the way to the end. Well, I guess Alexis does have an office! You know, there is a very long trend in my profession to call people "sick" when they just are evil. Yes, some people are sick, but some are just evil, and there is no "cure" for that. Kevin thought he could fix his brother, partly because of the prevailing belief about everyone's just being "sick," but probably also because it's his brother. So now Kevin's wrong thinking has backfired big time, ruining his life and who knows how many others? And, yes, Laura should run for/become mayor, picking up where she left off when she was so unfairly booted from the show. 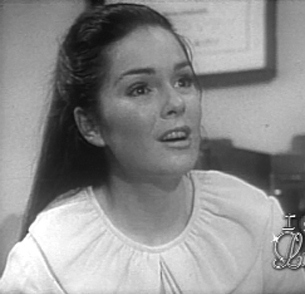 Friz: Oh Liz! Cut it out now! You are a great mother! Don't put yourself down!!!! Ned, "Doc" and Laura: NED!!! :) Ned I don't think anybody can stop the documentary of Ryan! I really want to watch this documentary. If Laura becomes Mayor, then she will be too busy trying to get into bed with her husband! That is a great plan Ryan! Hahahahaha! Oscar and Alexis: Oh of course Oscar wants to tell his parents what his plans are! He wants to stick it to them. Alexis and CarlyKim: WHOA! CarlyKim! You have no freakin right to slap Alexis!!! Oscar is the one who went to Alexis!!! You better apologize! You crossed the line! I'm really starting to not like CarlyKim. Jason and CarlyKim: Oh give me a break. Jason can't help you CarlyKim!!!!! Jason, Krissy, and Sam: HAHAHAHA drunk Krissy! That is fun. :) Jason is enjoying drunk Krissy too. :) I love when Sam said you live here you live by my rules.. Go Sam! Drunk Krissy won the lines of the day! Krissy: And by doing something I mean seeeeeeeeeeeeeeeex! I need to drink water so I won't be hung over. So I will be down in a sec. Don't be nakeeeeeeeed. BAHAHAHAHAHAHHA! Drunk Krissy is fun. :) But uh water can't help you not be hung over. Krissy and Sam: Uh Sam? KRISSY IS STILL DRUNK! Are you blind? Oh come on Krissy! Now you are blaming your mother for being drunk? Give me a break. You are an adult. Take responsibilities for your own actions. Ava and Griffin: SHUT THE HELL UP GRIFFIN!!!! Kiwi and Sasha: Oh goodie. Sisters bonding..
Ava: So Kiki and her new sister have the same taste in men. I can work with that. My first soap crush was Luke haha! For real, I bawled when he "died" and was so happy when he came back alive. My first soap crush was Joe Kelly, then Blackie Parish, then Frisco Jones. A trifecta of oh-so-dreamy guys! And yes, I was and am very fickle, lol! I totally freaked out when Laura was stabbed, and (just like Sonya said) when they went to the break, I thought for sure it was real. HAHA! Joke was on me! The slap heard around Charlie's Pub was great, but I am always Team Alexis, and was hoping she'd slap her back or call Port Charles's finest. Alas, Alexis will now be the whipping post for the entire town for taking Oscar's (the whinny wiener) case. Boo! The tipping point for Alexis was the threat of Oscar hiring Scott Baldwin. Not some hoo-ha about her daddy. She and Ava will be running neck and neck for town pariah. Krissie needs to be drunk all of the time....she was a hoot yesterday and quite tolerable on my screen. I'm thinking Julian waters down his tequila because she sure sobered up fast. I'm hoping that the slap was a wake up call for Alexis. She thinks a 16 year old drop out should decide his own future but not her 24 year old daughter. Yes, I have to say, I think that Alexis is wrong on this one. Oscar is 16, and she is telling him to get a job and support himself and move out? How is he going to do that? And his judgment is not sound, he is a teenager, and he is ill, he needs the guidance of his parents. "AntJoan said... Yes, I have to say, I think that Alexis is wrong on this one." She is not doing anything wrong. She didn't go up to him and ask if she could help. Oscar is the one who came up to her to ask for help. If it's not with Alexis, he will find another lawyer. "he is a teenager, and he is ill, he needs the guidance of his parents." But he doesn't want guidance of his parents. He wants control of his own life. Regarding Alexis, I agree with what Di said that she doesn't think her 24 year old daughter can make decisions, but a 16 year old can. However, I think Alexis is trying to protect Oscar from "bad" lawyers, just like she told Drew. And as much as Oscar gets on my nerves, Kim is way worse. If she had given Oscar a break for a week instead of constantly bringing up the treatment, he probably would have got there on his own. Plus, he's still so angry that she lied to him. Let the boy process for god's sake. And now Sam is the Alexis whisperer, too?